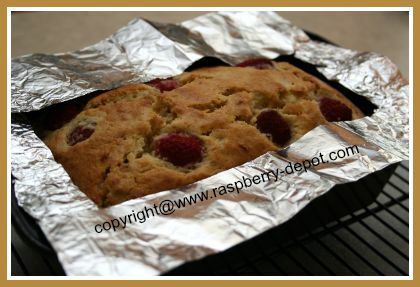 If you are looking for a Raspberry Bread Recipe to make at home, you have found an easy, no fail, recipe for a raspberry almond quick bread loaf here! 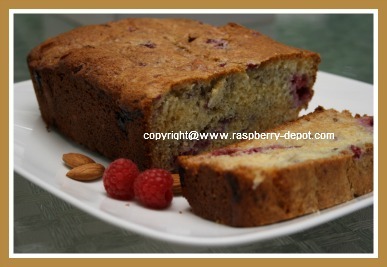 The raspberries and almond flavour from the almond extract AND the slivered almonds combine wonderfully to make the most delicious, moist fruit bread. 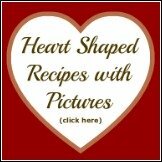 In a medium size bowl, whisk together the flour, baking powder, baking soda and the salt. In a large size bowl, using an electric mixer, cream the butter, until well mixed and smooth. Blend in the sugar and the almond extract, continuing to mix, until the mixture is light and fluffy. Beat in the eggs, one at a time, continuing to mix until well combined. Mix in the flour mixture alternating with the sour cream. 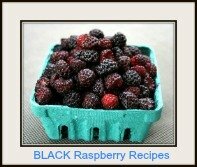 Gently, using a wooden spoon, fold in the crushed raspberries and the slivered almonds, stirring just until combined, do not over-mix. 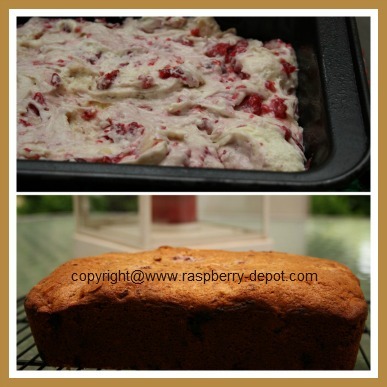 Transfer the batter for the raspberry bread recipe into a greased (I use non-stick cooking oil spray), 8" x 4" or a 9" x 5" loaf pan. Bake at 325° F for 55 - 60 minutes, or until a toothpick inserted into the center comes out clean. Cool the bread in the pan for about 5 minutes, and then invert onto a wire rack, and allow bread to cool completely. Slice before serving, and serve plain, or with butter and jam, optional. 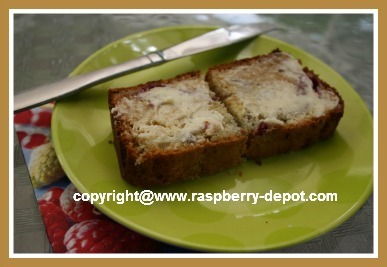 Makes 1 large loaf of delicious raspberry-almond quick bread! When baking bread, I like to add a shield or protenction to the outer edges of the bread baking in the loaf pan to avoid edges that are too dark or burnt. 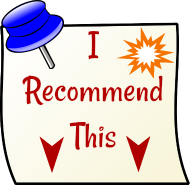 To do this, I simply make a "shield" using foil paper, by cutting the center out of a piece of rectangular foil (see image). I usually add the shield after the quick bread has been baking in the oven for about 40 minutes. 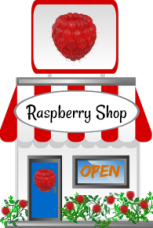 This is similar to the idea of the handy pie crust shield.